Underwater archaeology is archaeology practiced underwater. As with all other branches of archaeology, it evolved from its roots in pre-history and in the classical era to include sites from the historical and industrial eras. Its acceptance has been a relatively late development due to the difficulties of accessing and working underwater sites, and because the application of archaeology to underwater sites initially emerged from the skills and tools developed by shipwreck salvagers. As a result, underwater archaeology initially struggled to establish itself as bona fide archaeological research. The situation changed when universities began teaching the subject and when a theoretical and practical base for the sub-discipline was firmly established. Underwater archaeology now has a number of branches including, after it became broadly accepted in the late 1980s, maritime archaeology: the scientifically based study of past human life, behaviours and cultures and their activities in, on, around and (lately) under the sea, estuaries and rivers. This is most often effected using the physical remains found in, around or under salt or fresh water or buried beneath water-logged sediment. In recent years, the study of submerged WWII sites and of submerged aircraft in the form of underwater aviation archaeology have also emerged as bona fide activity. Rye Country Day School, also known as Rye Country Day or RCDS, is an independent, co-educational college preparatory school located in Rye, New York. Its Upper School, Middle School (5–8), and Lower School (Pre-Kindergarten-4) enroll a total of 886 students on its 26-acre campus. Rye Country Day attracts students from over 40 school districts in the tri-state area. Rye Country Day School is actively committed to diversity and inclusion. The School's $5.6 million financial aid budget provides significant tuition grants to the families of 143 students (16%) in the school. 31% of RCDS students self-identify as people of color. The School is known for excellent academics, providing opportunities for a well-rounded education, a strong commitment to service learning, and its college placement record. The Rome Prize is awarded by the American Academy in Rome, in Rome, Italy. Approximately thirty scholars and artists are selected each year to receive a study fellowship at the academy. Prizes have been awarded annually since 1921, with a hiatus during the [World War II]] years, from 1942 to 1949. The American Academy in Rome is a research and arts institution located on the Gianicolo in Rome. The academy is a member of the Council of American Overseas Research Centers. 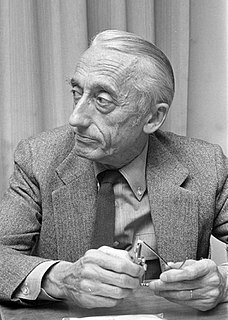 Jacques-Yves Cousteau was a French naval officer, explorer, conservationist, filmmaker, innovator, scientist, photographer, author and researcher who studied the sea and all forms of life in water. He co-developed the Aqua-lung, pioneered marine conservation and was a member of the Académie française. The Metropolitan Museum of Art of New York City, colloquially "the Met", is the largest art museum in the United States. With 7.3 million visitors to its three locations in 2016, it was the fourth most visited art museum in the world, and the fifth most visited museum of any kind. Its permanent collection contains over two million works, divided among seventeen curatorial departments. The main building, on the eastern edge of Central Park along Museum Mile in Manhattan 's Upper East Side is by area one of the world's largest art galleries. A much smaller second location, The Cloisters at Fort Tryon Park in Upper Manhattan, contains an extensive collection of art, architecture, and artifacts from Medieval Europe. On March 18, 2016, the museum opened the Met Breuer museum at Madison Avenue on the Upper East Side; it extends the museum's modern and contemporary art program. The Association of University Presses (AUPresses) is an association of mostly, but not exclusively, North American university presses. It is based in New York City. Until December 2017, it was known as the Association of American University Presses (AAUP). A board of directors is a group of people who jointly supervise the activities of an organization, which can be either a for-profit business, nonprofit organization, or a government agency. Such a board's powers, duties, and responsibilities are determined by government regulations and the organization's own constitution and bylaws. These authorities may specify the number of members of the board, how they are to be chosen, and how often they are to meet. The JASON Project is a US middle school science curriculum program that is designed to motivate and inspire students to pursue interests and careers in science, technology, engineering and mathematics. The Strait of Sicily is the strait between Sicily and Tunisia. The strait is about 145 kilometres (90 mi) wide and divides the Tyrrhenian Sea and the western Mediterranean Sea, from the eastern Mediterranean Sea. The maximum depth is 316 meters (1,037 ft). McCann, A.M. (1968). The Portraits of Septimius Severus, A.D. 193–211. Memoirs of the American Academy in Rome. Rome: American Academy in Rome. McCann, Anna Marguerite (1978). Roman Sarcophagi in the Metropolitan Museum of Art. Meriden, Connecticut: Meriden Gravure Company. Retrieved October 28, 2017. McCann, Anna Marguerite; Bourgeois, Joanne; Gazda, Elaine K.; Oleson, John Peter; Will, Elizabeth Lyding (1987). The Roman Port and Fishery of Cosa: A Center of Ancient Trade. Princeton, New Jersey: Princeton University Press. ISBN 978-0-691-62883-7. McCann, Anna Marguerite; Freed, Joann (1994). Deep water archaeology: a late-Roman ship from Carthage and an ancient trade route near Skerki Bank off northwest Sicily. Ann Arbor, Michigan: Journal of Roman Archaeology. ISSN 1063-4304. McCann, Anna Marguerite; Oleson, John Peter (2004). Deep-water Shipwrecks Off Skerki Bank: The 1997 Survey. Ann Arbor, Michigan: Journal of Roman Archaeology. ISBN 978-1-887829-58-8. ISSN 1063-4304. Gisela Marie Augusta Richter, was a classical archaeologist and art historian. Gisela Richter was a prominent figure and an authority in her field. Cosa was a Latin colony founded in southwestern Tuscany in 273 BC, on land confiscated from the Etruscans, to solidify the control of the Romans and offer the Republic a protected port. The Etruscan site may have been where modern Orbetello stands; a fortification wall in polygonal masonry at Orbetello's lagoon may be in phase with the walls of Cosa. The position of Cosa is distinct, rising some 113 metres above sea level and is sited 140 km northwest of Rome on the Tyrrhenian Sea coast, on a hill near the small town of Ansedonia. The town experienced a hard life and was never truly a prosperous Roman city, although it has assumed a position of prominence in Roman archaeology owing to the circumstances of its excavation. After the foundation, wars of the 3rd century BC affected the town. New colonists arrived in 197 BC. Cosa seems to have prospered until it was sacked in the 60s BC, perhaps by pirates - although an earthquake and unrest related to the Catilinarian Conspiracy have also been cited as reasons. This led to a re-foundation under Augustus and then life continued until the 3rd century. One of the last textual references to Cosa comes from the work of Rutilius Claudius Namatianus in his De reditu suo. In the passage 1.285-90, Rutilius remarks that by AD 417 the site of Cosa was deserted and could be seen to be in ruins. He further suggests that a plague of mice had driven the people of Cosa away. The year 1933 in archaeology involved some significant events. Frank Edward Brown was a preeminent Mediterranean archaeologist. Emeline Hurd Hill Richardson was a notable classical archaeologist and Etruscan scholar. Hill was the daughter of William Hurd Hill and Emeleen Carlisle (Hill). She studied at Radcliffe College, receiving an A.B. in 1932 and an M.A. in 1935. In 1935/36 she studied with Bernard Ashmole at the University of London. She completed her Ph.D. in 1939 at Radcliffe College. From 1941–1949 she was on the faculty of Wheaton College in Norton, Massachusetts. In 1950, Emeline Hill Richardson held a stipend at the American Academy in Rome and was involved in the Cosa excavations. She married Lawrence Richardson in 1952. She lectured both at Stanford and Yale Universities. Lucy Taxis Shoe Meritt was a classical archaeologist and a scholar of Greek architectural ornamentation and mouldings. The Skerki Banks, also known as the Skerki Channel, are an area of relatively shallow open sea, situated in the central Mediterranean in the Strait of Sicily between Sicily and Tunisia. Larissa Bonfante is an Italian-American classicist, Professor of Classics emerita at New York University and an authority on Etruscan language and culture. The Gold Medal Award for Distinguished Archaeological Achievement is awarded by the Archaeological Institute of America in "recognition of a scholar who has made distinguished contributions to archaeology through his or her fieldwork, publications, and/or teaching." Eugénie Sellers Strong was a British archaeologist and art historian. She was Assistant Director of the British School at Rome from 1909 to 1925. After studying at Girton College, Cambridge, in 1890 she became the first female student admitted to the British School at Athens; she continued art historical studies in Germany under Adolf Furtwängler. In 1897 she married art historian Sandford Arthur Strong. She contributed to the catalogue of the 1903 Burlington Fine Arts Club "Greek Art" Exhibition, and wrote several books on classical art and sculpture. John Peter Oleson is a Canadian classical archaeologist and historian of ancient technology. His main interests are the Roman Near East, maritime archaeology, and ancient technology, especially hydraulic technology, water-lifting devices, and Roman concrete construction. Andrew Ian Wilson is a British classical archaeologist and Head of School of Archaeology at the University of Oxford. He was director of the Oxford Institute of Archaeology from 2009 to 2011. Wilson's main research interests are the economy of the Roman world, Greek and Roman water supply, and ancient technology. Elizabeth Barringer Fentress is a Roman archaeologist who specialises in Italy and North Africa. Margarete Bieber was a Jewish German-American art historian, classical archaeologist and professor. She became the second woman university professor in Germany in 1919 when she took a position at the University of Giessen. She studied the theatre of ancient Greece and Rome as well as the sculpture and clothing in ancient Rome and Greece. Lawrence Richardson Jr. was an American Classicist and ancient historian educated at Yale University who was a member of the faculty of classics at Duke University from 1966 to 1991. He was married to the Classical archaeologist Emeline Hill Richardson. Richardson received numerous fellowships, including a Fulbright, a Guggenheim, and support from the American Council of Learned Societies. He was a Fellow of the American Academy in Rome (1950) and field director of the AAR's Cosa excavations (1952–55). He was a Resident of the American Academy in Rome (1979), and served as the American Academy in Rome’s Mellon Professor-in-Charge of the School of Classical Studies (1981). In 2012 he was awarded the Gold Medal of the Archaeological Institute of America. The Archives at the American Academy in Rome (AAR) are digitized archaeological and photographic collections assisting in the preservation and conservation of the cultural heritage of Rome. Dr. Frances Follin Jones was an American classicist and the former curator of collections at The Art Museum, Princeton University from 1943 to 1983. Cleo Rickman Fitch was an American archaeological researcher who specialized in Roman lamps. Barbara Elisabeth Borg is Professor of Classical Archaeology at the University of Exeter. She is known in particular for her work on Roman tombs, the language of classical art, and geoarchaeology. ↑ "Society of Fellows Obituaries: Anna Marguerite McCann, FAAR 1966". aarome.org. American Academy in Rome. Retrieved October 29, 2017. ↑ McCann 1978, p. 4. 1 2 3 4 5 Oleson & Pollini 2017, p. 685. ↑ "Directory by Year Index". Society of Fellows of the American Academy in Rome. Archived from the original on July 19, 2008. Retrieved October 26, 2017. 1 2 3 Oleson & Pollini 2017, p. 686. 1 2 3 4 5 6 Oleson & Pollini 2017, p. 687. ↑ "Obituaries – Anna Marguerite McCann (11.05.1933 – 12.02.2017)". fautores.org. Rei Cretariae Romanae Fautores. Retrieved October 29, 2017. ↑ Bispham, Harrison & Sparkes 2006, p. 145: "the first academic account of deep-water archaeology." ↑ "Anna Marguerite McCann Emmett L. Bennett, Jr.—1998 Gold Medal Award for Distinguished Archaeological Achievement". archaeological.org. Archaeological Institute of America. Retrieved October 29, 2017. ↑ McCann 1978, p. 5. Bispham, Edward; Harrison, Thomas; Sparkes, Brian A. (2006). Edinburgh Companion to Ancient Greece and Rome. Edinburgh University Press. ISBN 978-0-7486-1629-9. Oleson, John Peter; Pollini, John (October 2017). "Anna Marguerite McCann, 1933–2017" (PDF). American Journal of Archaeology. 121 (4): 685–688. doi:10.3764/aja.121.4.0685. Archived (PDF) from the original on October 26, 2017. Retrieved October 26, 2017.